Service members, veterans, survivors, and kids of all ages are invited to camaraderie, creativity, and joy. Already a musician, artist, or storyteller? Welcome to your stage! The 2019 Public Works Seattle production will be a full scale musical adaptation of Shakespeare's As You Like It! Bring yourself, family, and veteran service organization to learn how you can participate as individuals, families, or teams in the spirit of true community. 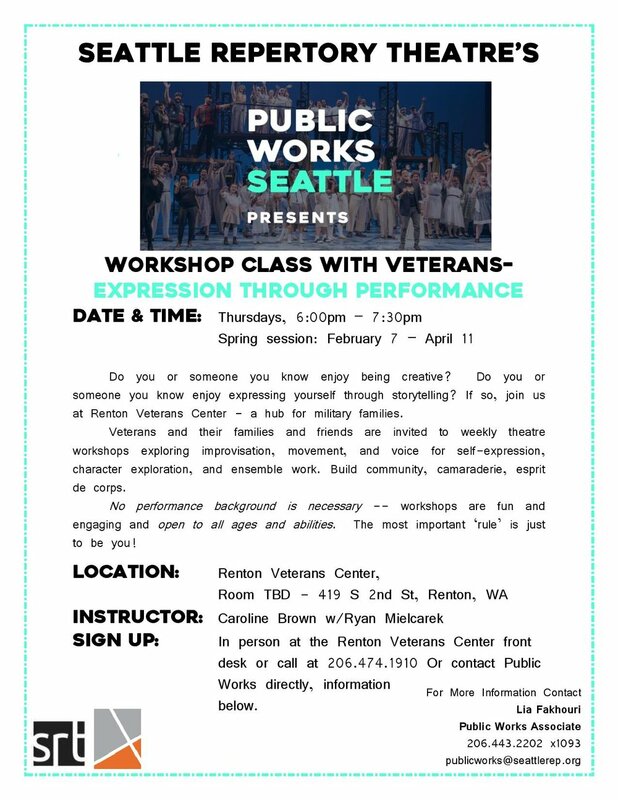 This event is a combined arms effort with the King County Veterans Consortium, Public Works Seattle, and Compass Veterans Center - Renton, a Compass Housing Alliance veteran community.